A new special iTunes edition of James Cameron’s 3D Avatar epic will be arriving in the iTunes Store next week. Allowing viewers to look behind the scenes at how the 3D film was created using simultaneous on screen views. The new iTunes version will allow viewers to see and control simultaneous views of 17 key scenes within the movie that include the completed picture as well. With rough-computer generated framing, and the live motion capture playing together. Green Screen X-ray will also let viewers selectively see the raw live action side of the content just by dragging the “X-ray” over parts of the scene. 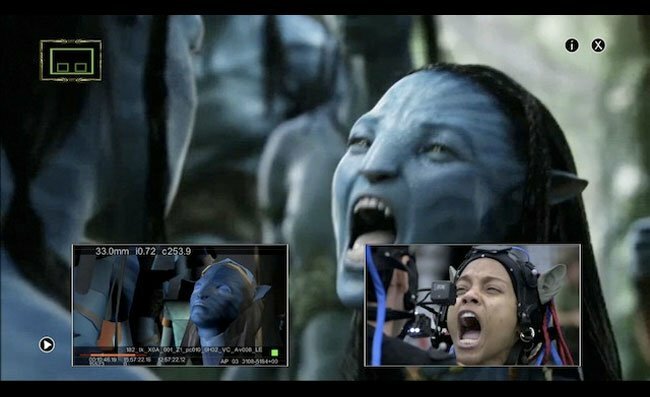 The special edition Avatar film will also come with the original script and a a huge image gallery containing around 1,700 images from the film and behind the scenes. Apple’s store will start carrying the updated version of Avatar on December 20 for the typical $20 of the 720p HD version and $15 for a standard-definition.